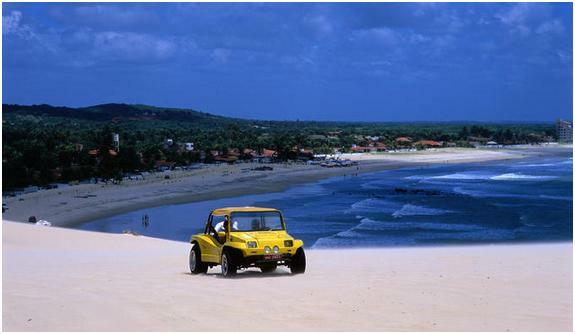 The buggy beach drive is a unique attraction at the eastern Brazil cost. 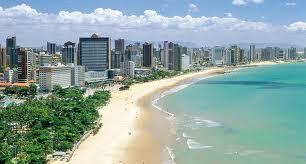 It is a kilometer and kilometer stretch of beach along the ocean. As well as enjoying the unique experience of driving a buggy on a beach, many people do kitesurfing. A sport that is very popular in this part of Brazil. Cumbuco is one of the places with perfect conditions for it. Learning how to drive a beach buggy is easy and anyone can learn it. A beach buggy is like a small car, with no sides, no roof, and big wheels that can go through sand dunes and on beaches. Driving a Buggy on the beach or sand dunes…is a Fun in the sun. Beach buggies are really great for getting to know beach areas that are almost impossible to get to by car. This means you can enjoy untouched beaches that are almost empty of other people in your Brazil trip. Also you can go on a long buggy trip. Fill your Beach Buggies with beer, soda and water… next to your equipment for kitesurfing… with a smile on your face…with music and wind in the air…that can really be a great day. If you have never tried this , we feel obligated to recommend it to you.